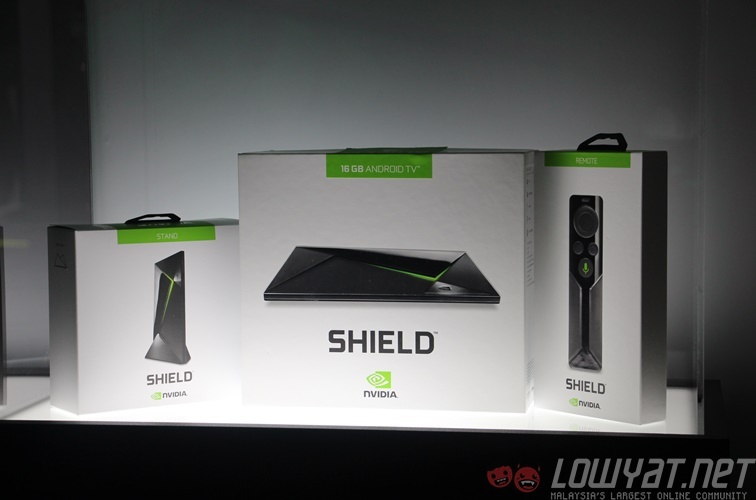 At NVIDIA’s Computex 2015 Experience Zone held at a separate location from the Computex show floors, the gaming hardware company also reserved some space to show off its Shield console, an Android TV-running device that’s designed for use in the living room. 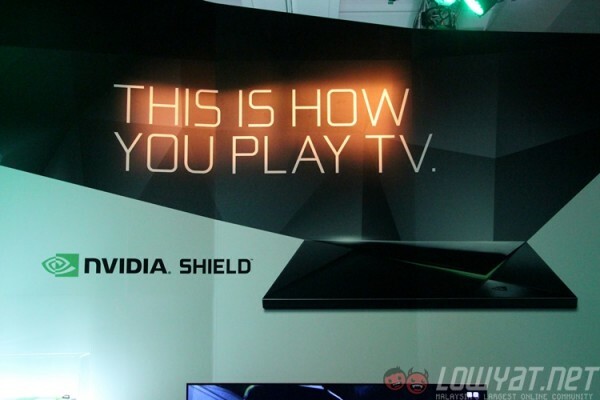 The Shield isn’t exactly new; NVIDIA actually announced it back in March at the Game Developers Conference. 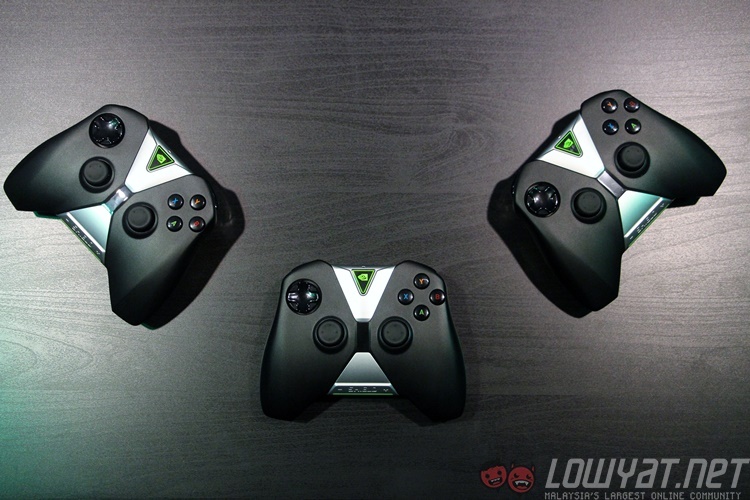 It’s powered by the company’s powerful Tegra X1 chipset that was announced back at CES 2015 in January. With a 256-core GPU and 3GB of RAM, it was the first mobile chipset to 1 teraflop’s worth of processing power – needless to say, it’s one powerful chip. 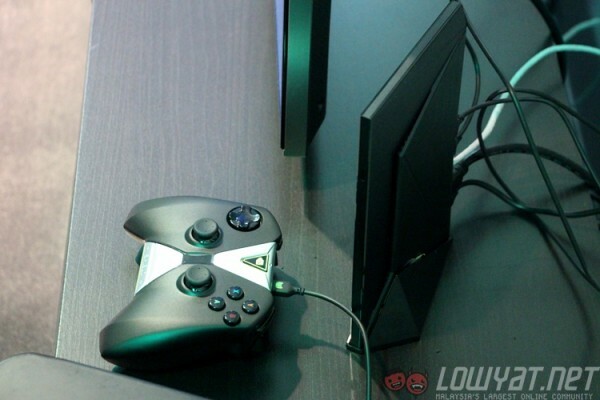 It helps also that the console looks attractively sleek and slim, with LEDs in NVIDIA’s trademark green appearing in a V-shaped crevice at the front of the console. 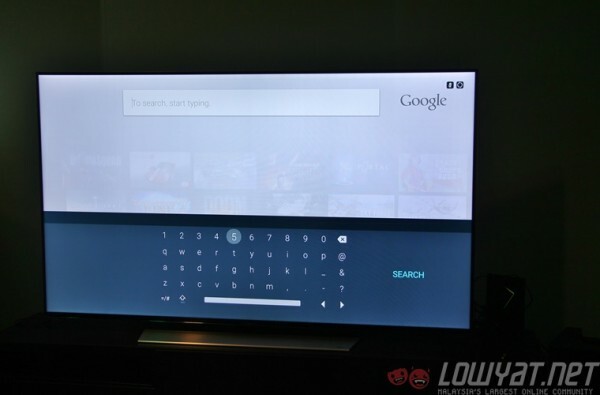 The main home screen – called the Shield Hub – looks very similar to a lot of Smart TV interfaces, so navigating around the UI is pretty easy, and works well with both the Shield Remote and the Shield Controller. 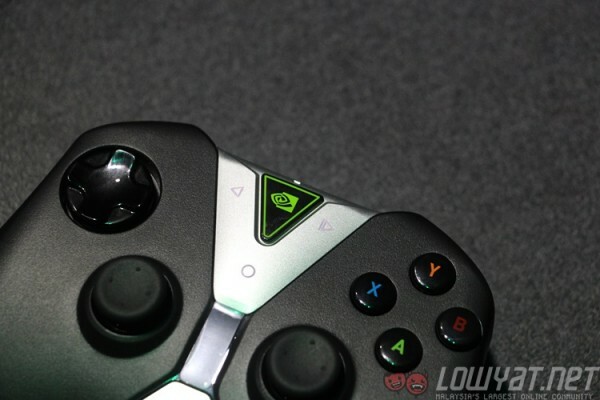 Given that this is a device running on Android TV, all of Android’s best features are here as well: the Shield Remote and Controller have integrated mics for painless voice searches, and virtually all Android games will run here – but NVIDIA has curated about 50 titles that’s optimised for controllers. 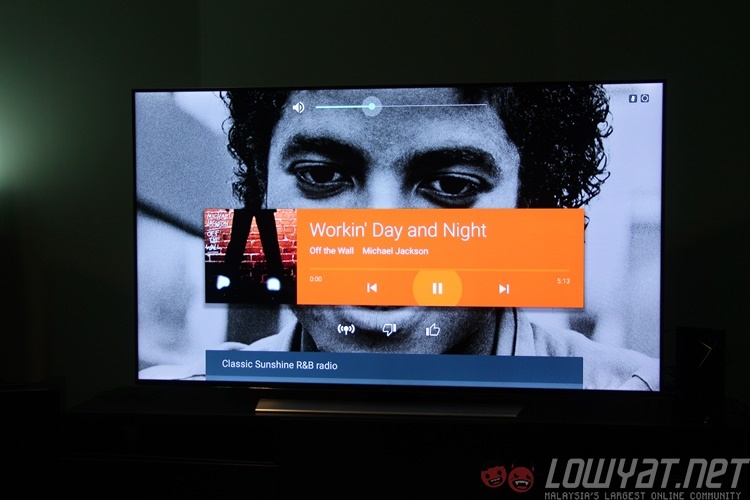 Beyond that, features like Google Play Music also works seamlessly on the Shield. 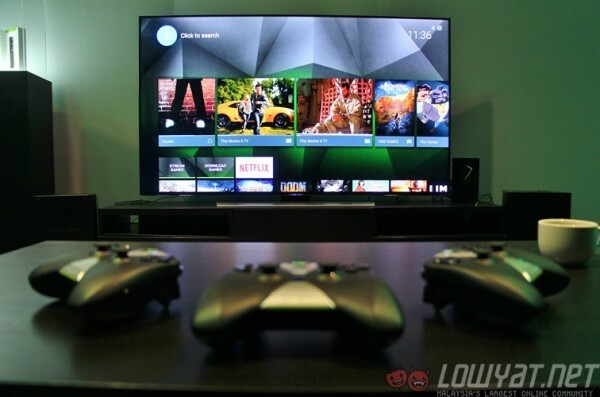 Also, apps such as Netflix and YouTube are easily accessible from the Shield Hub, and the hardware is capable of 60fps 4K video playback, making the Shield a one-stop living room entertainment system. Plus, the Shield also works with NVIDIA’s Grid game-streaming service, NVIDIA Share and GameStream features. The basic Shield comes with only 16GB of storage for $199.99 (about RM755), while the Shield Pro fitted with a 500GB hard disk costs $299.99 (about RM1,135). But, with a microSD card slot and two USB 3.0 ports, you can easily view content stored in external media storage. Rounding up the connectivity options is dual-band MIMO WiFi, Bluetooth 4.1, LAN port, HDMI 2.0 port and an IR receiver that’s compatible with Logitech’s Harmony remote. As for the Shield controller, its chunky shape is similar to NVIDIA’s previous controller iterations. It is, however, very comfortable in the hands and isn’t too heavy despite how it looks. The integrated headphone jack located at the front is very useful too, allowing serious gamers to plug in their gaming headsets with integrated mics. 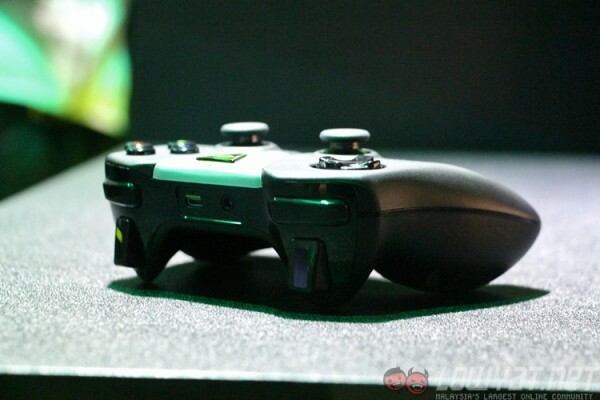 It also charges via microUSB, with each charge capable of up to 40 hours of use. 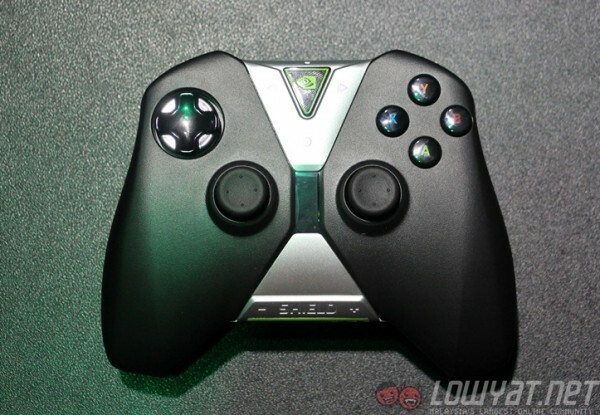 Surprisingly, the final accessory for the Shield console besides the Shield Stand and Controller, the Shield Remote, was not available for demo. Perhaps it was for the better, since the remote retails for an eye-watering $49.99 (about RM190) while the Controller only costs $10 more. Unfortunately, this may be one of the few times we’ll ever encounter the Shield console. Most of the features, such as the Grid service, is only available in North America, where it is already available to purchase. Other apps such as Netflix and Google Play Movies are region-locked, and not available in Malaysia. Most importantly, NVIDIA does not appear to have plans to ship it to this side of the world.